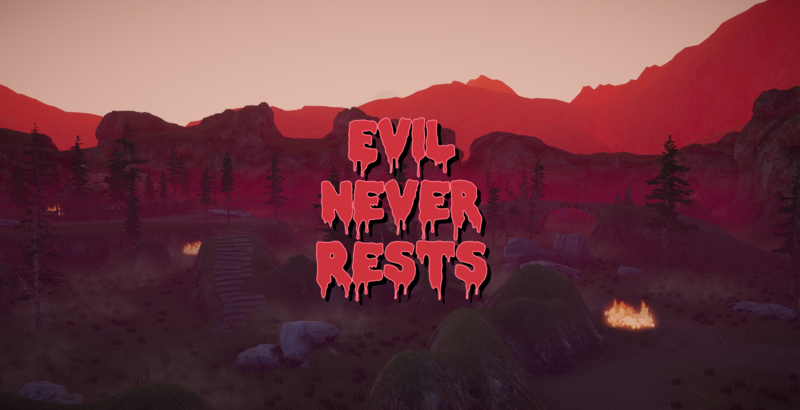 Originally developed over the course of a week for 7DFPS Jam on itch.io, Evil Never Rests is my take on the survival horror genre. The general idea is that you're dropped in this enclosed environment with a creature on the loose. There's no way to kill the creature so you just need to be creative and try to survive as long as possible. * All gamepads are supported as well as mouse and keyboard. 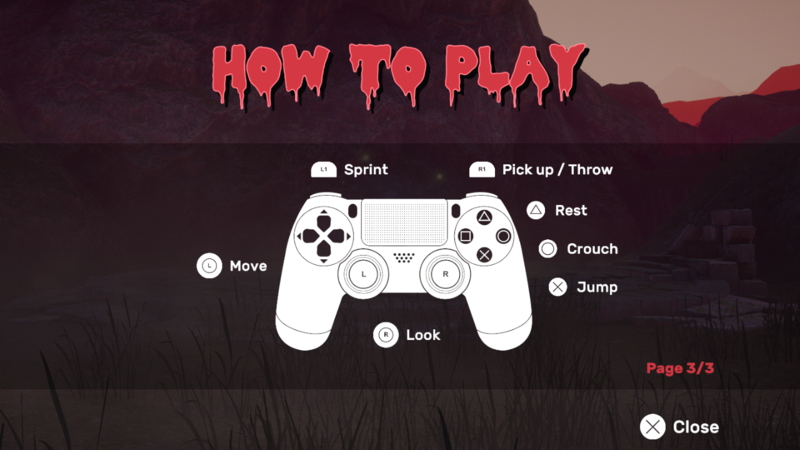 Feel free to use your controllers for Xbox 360, Xbox One, DualShock 3, DualShock 4, etc. You can run, sprint, jump, crouch/crawl, and pick up rocks that you can then throw at the creature to try and knock it down to gain some distance on it. 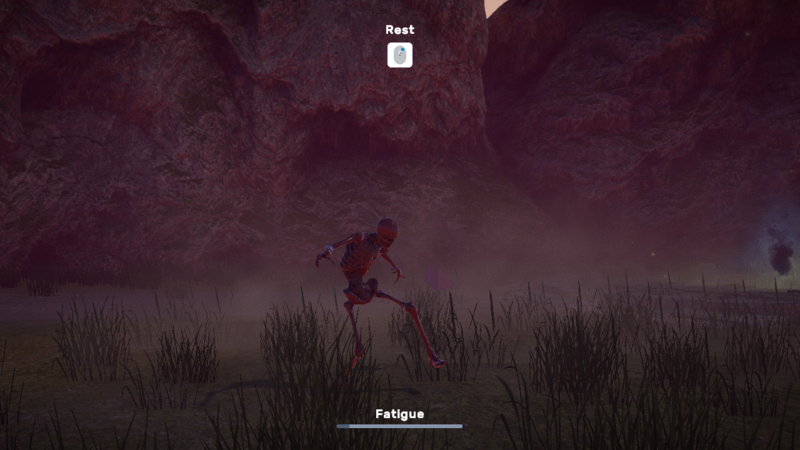 The creature is slower at certain tasks, so a smart player will create a path for the monster that slows it down. All of this strategy is necessary because you, the player, have fatigue that needs to be managed. Everything you do in the game will make you more and more tired (even just standing there!). So you'll need to rest, but the creature doesn't. While resting you won't be able to see anything so you'll have to rely on your hearing to know when the creature is getting close. This game can be played with a mouse and keyboard (Apple users - right click is required so you may need an appropriate mouse) or any standard gamepad (Xbox 360, Xbox One, DualShock 3, DualShock 4, etc). * The use of headphones (preferably surround sound) is highly recommended. Ragdoll physics for the creature. Able to stop and pick up a stone that you can then use to throw at the creature to slow it down. Variable height terrain (bridges, hills, etc). The creature can jump now. Fatigue now updates on a curve while resting (was linear before). 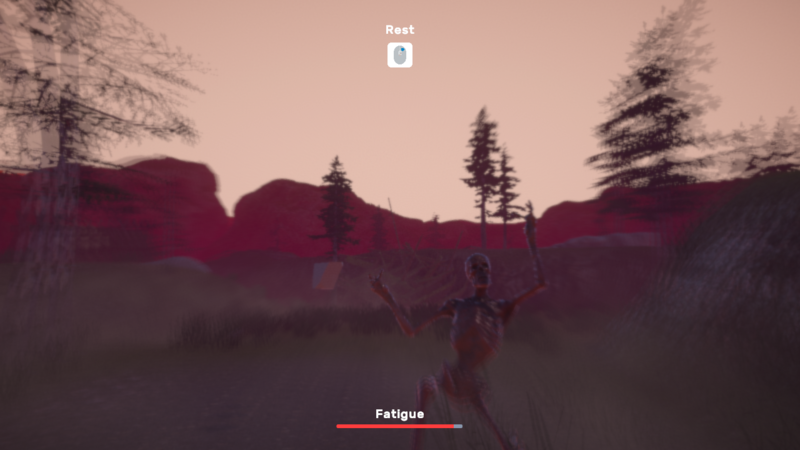 Visual effects for when fatigue gets too high (double vision, blur, etc). New sound effects and ambient audio. A special area that will clear your fatigue without you having to rest. Where is it? Better how to play screen. 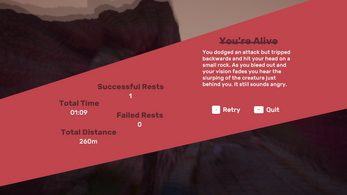 Lots of little gameplay tweaks. The game is optimized pretty well so you shouldn't have too much trouble unless you're running it on a potato. For reference, I'm able to play it on medium settings on a 2013 MacBook Air (1.3GHz Core i5, 4GB RAM, Intel HD 5000 integrated graphics). 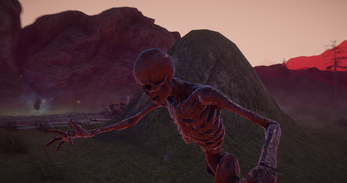 - Updated creature animations to be more unnatural (frames missing). - Fixed a couple of small bugs. - Game now saves your best survival time. 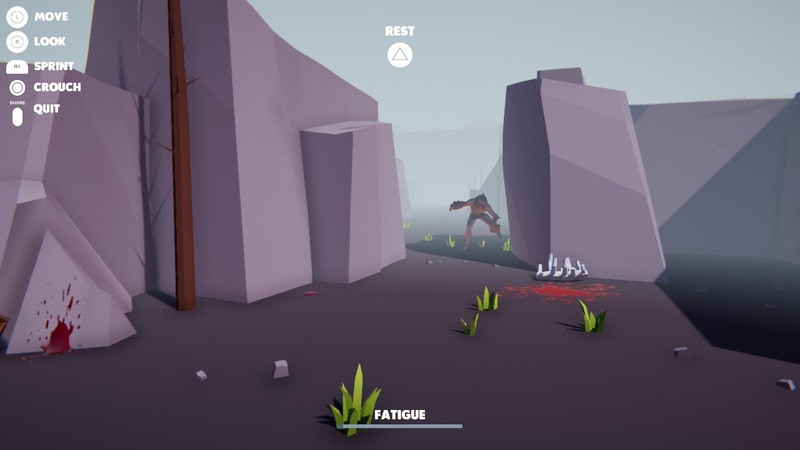 - Fixed a few areas you could reach as the player but the creature couldn't. 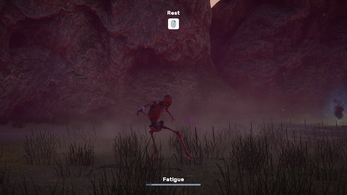 - Updated creature animations (fewer frames missing), happy with it now. 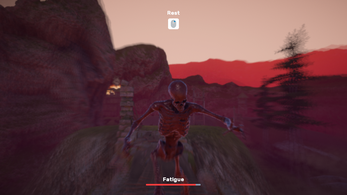 Sliding mechanic: crouching while running makes the player slide to get under areas much faster than before. Full VR support (Open VR - Oculus, Vive, etc). Only v0.4.0 is listed to download in the itchio desktop application. Please fix this issue and extend the 100% off sale by at least another day so that people can get it. Thanks! Hi, I haven't been using the desktop app so I installed it on both Windows and Mac and all of the files for the latest version are there when I go to the download page. I'm not sure why it wouldn't be showing up for you. Might be something to bring up with itch support. Hey! 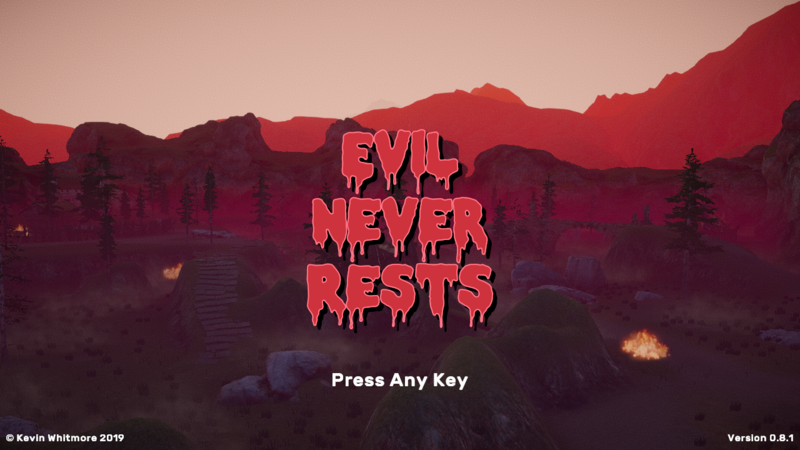 Unfortunately it won't work with VR at the moment because the camera system I'm using overrides head tracking :( and the menus would need to be redone. I'm hoping to get that working soon though. As for the controllers, that's weird. They might work without the VR connected? I'll double check with my xbox controllers when I get a chance. Hey, don't bother checking the Xbox controllers! I just remembered that I had problem with them before -- I think it's something with my Huion monitor, or something.